I came across this little fellow whilst rummaging through a basket in a charity shop. I thought he would make a nice companion to my Notts TV ones, even though he is a lot smaller. But being a pirate, he's not going to get bullied by those media types. 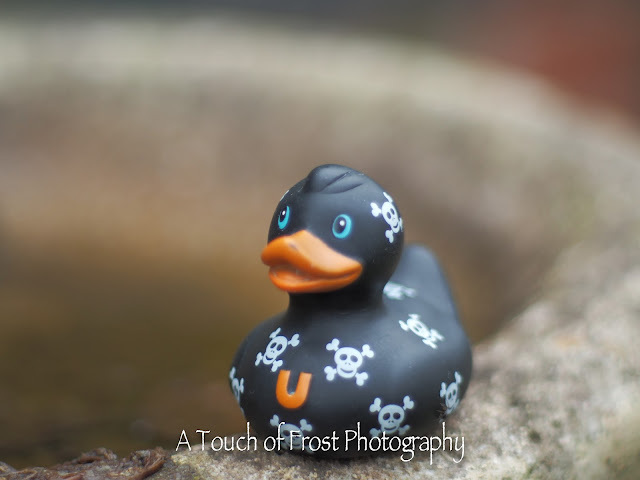 Looking up 'bud', the company that made him, I found that they specialise in producing novelty rubber ducks of all kinds, and have done for a few years. But this is the first one that I've ever come across. It was our 10th wedding anniversary on Friday, and a friend came round yesterday with a lovely large white orchid plant as a present. 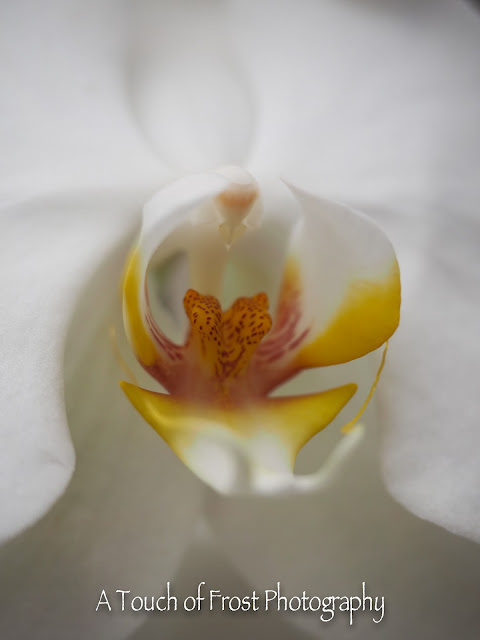 Instead of photographing the whole plant, I thought I would focus on one of the flowers, especially the very colourful anther and stamen, Which looks very much like a mouth. Have you ever thought about what an author of murder stories might look like? Will they resemble someone who enjoys killing people? I think most people know what Agatha Christie looks like from photos and films about her. From what I've remember, she looks like your favourite old aunt. But one that has bumped an awful lot of people off with her pen! 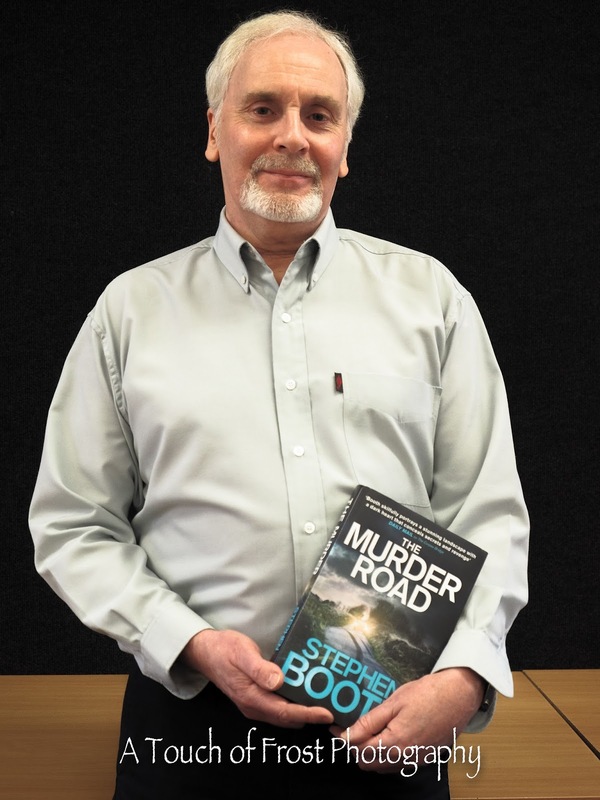 So I wondered what I was letting myself in for when I went to my local library this afternoon, to listen to thriller writer Stephen Booth. He was giving a public talk about his life and work. Will he be waiting to pounce on us as we went through the door, waving a pick axe about. Blood splattered on the walls? Well no, he actually looked quite normal. Someone with a kind face. Stephen spoke for well over an hour about his early life in Lancashire and his interest in books. Even though there was only three in the house. He even managed to write a novel when he was 12 years old. He also answered questions from the audience of about 40 people, who sat glued to every word. Once he had finished his degree at university, Stephen got a job as a journalist on a local newspaper, where he got to know the local police. This gave him the spark to start writing properly, and completed his first murder story, set in the Derbyshire Peak District in 1999. It featured two young detectives called Cooper & Fry, and was entitled 'Black Dog'. He's just about to have his 16th novel published, which also features the dynamic duo. I must admit, I have never read one of Stephen's books, or even heard of Cooper & Fry before. I will though, especially now, as the stories may be televised in a new series that is presently going through the development stage. There was an opportunity at the end of the talk for his fans to buy any novels that they didn't have, get them signed and personally chat to him. Well it's my birthday and 10th wedding anniversary today. We are on holiday from work, so it's been nice not having to get up early and take that cycle ride to the city centre. Although I said the other day that was the final photo of Carla Monaco that I was going to show. But I found another that I think is worth showing. A rather inventive backdrop at CoCo Studios, being a cheap sheet of chipboard that is normally used in the building trade, or for boarding up windows, that has been painted gold. 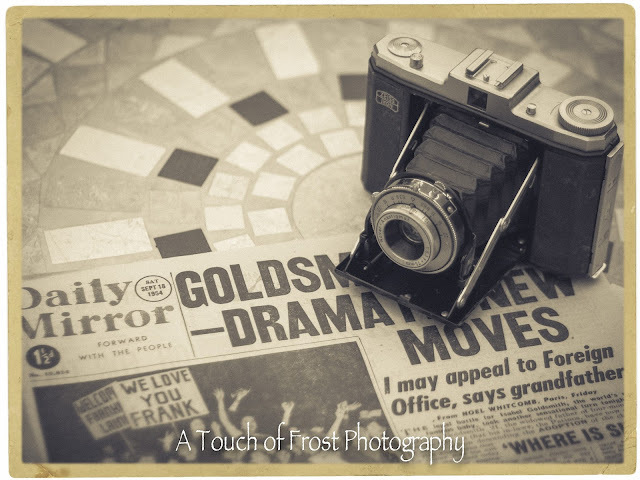 I had a pleasant discovery during my regular visits to one of our local charity shops the other day, when I came across this vintage camera from the 1950s, for the bargain price of £4.99. I have no idea whether it works or not. There is a film inside, which has been partially used. I just wonder how long it's been in there and whether it's any good. I may try finishing it off and send it for developing. It may be a waste of money, but would exciting as to what might be on there. The camera is a Zeiss Ikon Nettar, and was made in Stuttgart, West Germany. And came with a leather case. Both are in good condition and the camera is very nice to look at. I just have to work out how to set the dials. With his smiling face, I take it that this dwarf is Happy. Or could it be Doc? Whoever it is, the owner of this local shop has made a nice job of cheering their window up for both their customers and passers by. 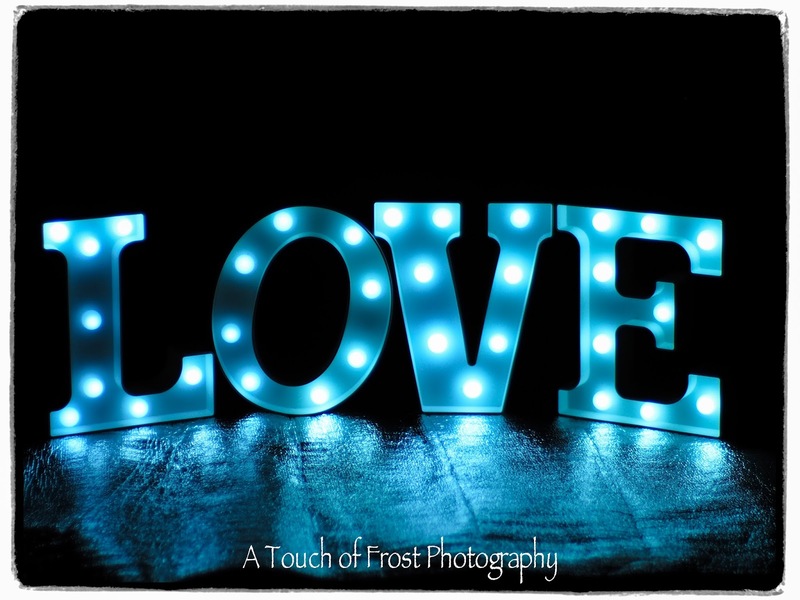 Our new lights for the garden. I had to wait until it became dark so I could switch them on. My final photo of Carla, from my wonderful shoot with her the other day. Nothing much else really to say. Here's another, more edgy look of model Carlo Monaco, but still as beautiful. I think there's a slight look of Debbie Harry in this shot. Maybe it's the blonde hair, the pout or the cheekbones.But the camera sure does love her, even in my amateurish shots. I had a very enjoyable photoshoot this afternoon with professional model Carla Monaco. Especially as it was a birthday present from Gail and a friend of ours. They recently asked me what I wanted for a present. I gave this some thought, and really didn't want the usual DVDs or CDs, and other typical things you get as gifts. But a couple of weeks ago, a local photo studio called CoCo advertised a shoot with this lovely lady. I've always wanted to do a shoot with Carla, ever since seeing some photos of her that had been taken by pro photographer Damien Lovegrove. So I thought this would be a great opportunity of combining the two things. She was a dream to work with. Very patient, great posing and just a lovely personality, which I think comes across in my photo. It looks like Luke Skywalker has had a hard day, or he's drunk a bit too much at the Mos Eisley Catina. Anyway, even though he knows how to use the 'Force', Luke isn't going to conquer the evil empire, while he's lying down on the job. 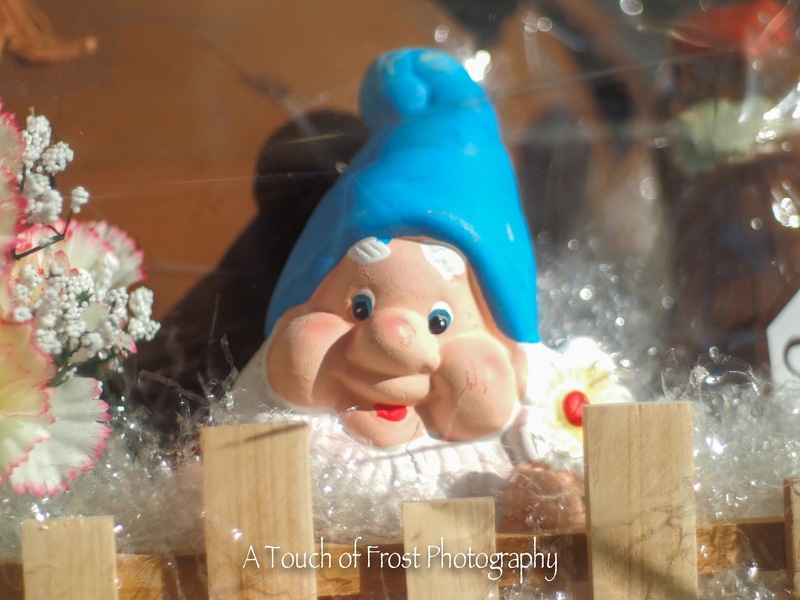 I took this through the window of a local eatery. 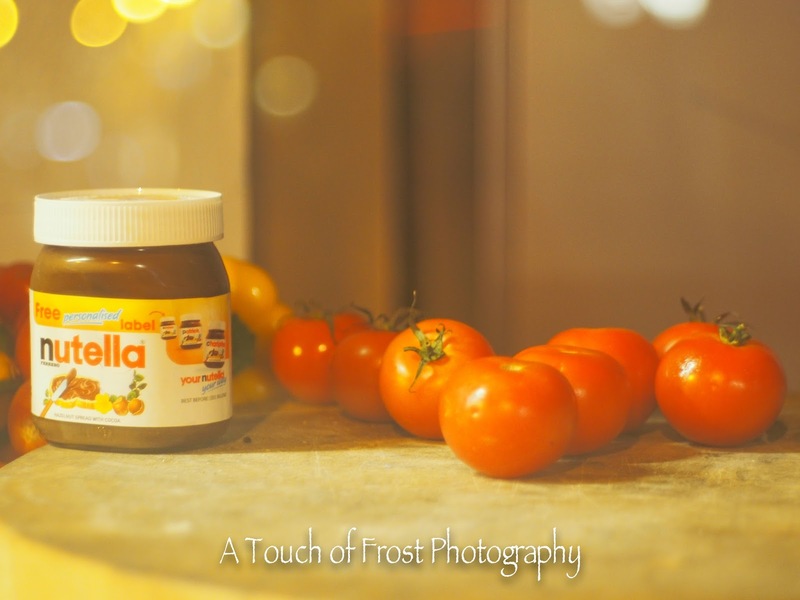 I was intrigued by the randomness of putting chocolate spread next to a load of tomatoes. Surely there can't be a receipe out there that mixes those two ingredients together. Even Heston Blumenthal wouldn't do that. Or would he? 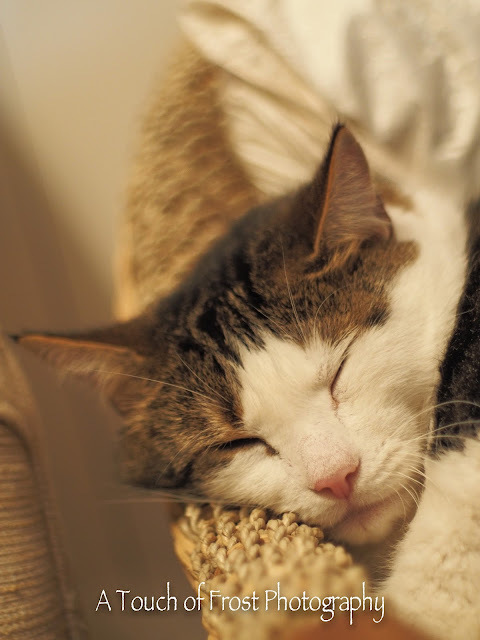 Here's another shot of Oscar in the Land of Nod. Curled up on a wicker chair and using the arm as a pillow. He was snoring at one point, which made me turn round and look at him. A gentle little snore, with a bit of a whistle. So I just had to take his photo. Maybe next time I'll video him in action. 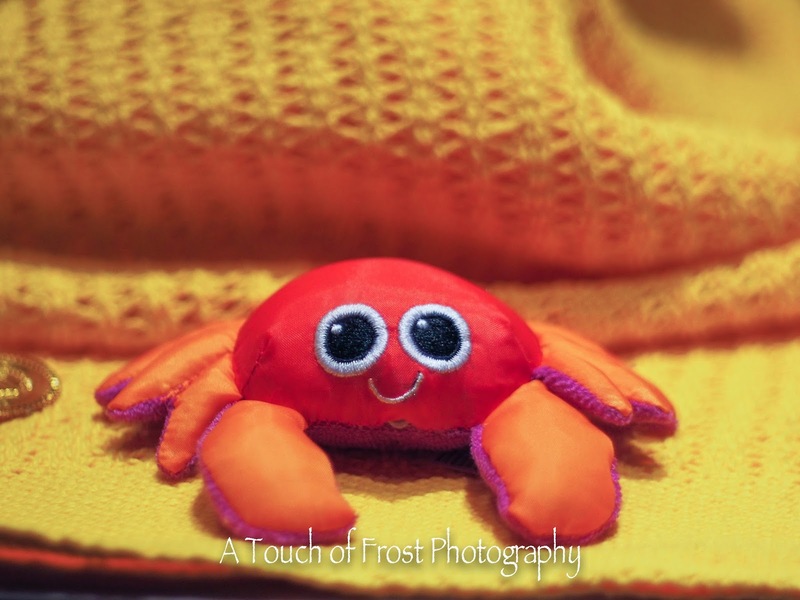 Who can resist this cute little crab, smiling out from a window display of a children's clothes shop. Their theme at the moment is 'the sea'. So there's a pirate ship there, some fishing nets, even a seahorse. But I was drawn to little Charlie, with his happy face and smiling face. Here's a good window display at our local branch of Zara. The window frame is also interesting, as its a art Nouveau design. I've shown this building a few times now, as it was one of Boots' first stores in the city. It's quite a simple, but effective display. 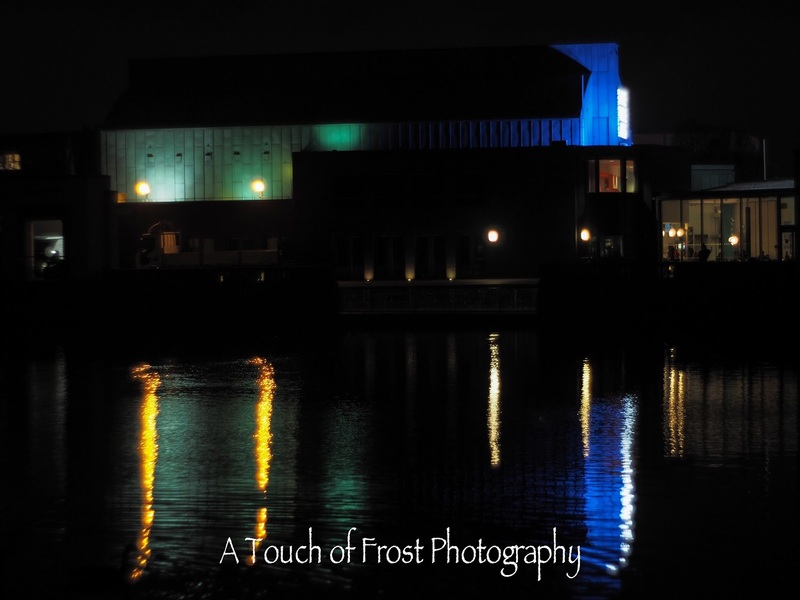 The lights of the Lakeside Arts Centre reflected in the lake at Highfields. 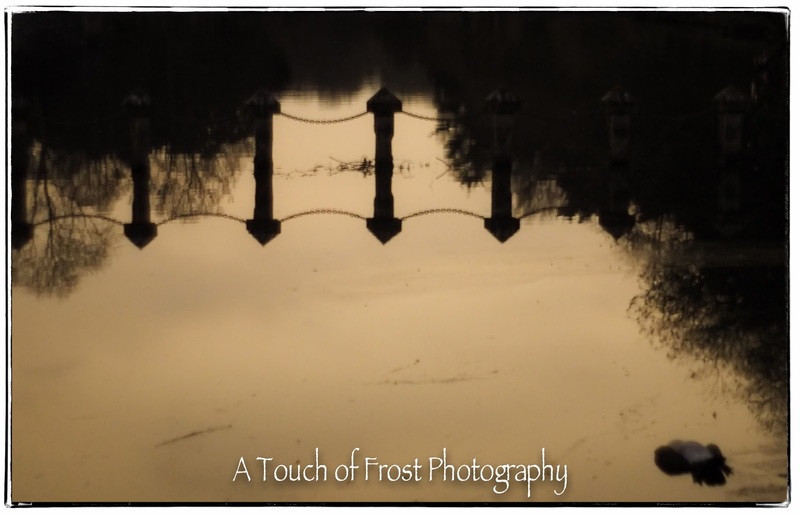 A quick snap of the lake in Highfields, as the sun was setting over the water. Wandering around Hockey yesterday with a pal from work, who also like photography, we came across this rather unusual motorbike. Unusual, not in the sense of what it looks like, but the fact that it is red, as I tend to see most two wheelers painted black or silver. 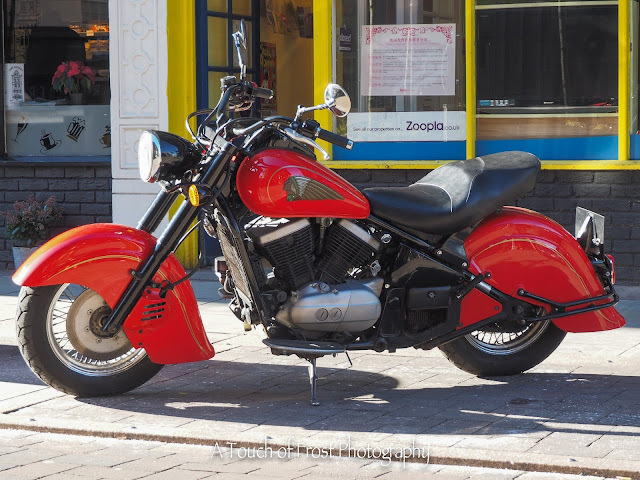 Not being very interested in motorbikes, I didn't recognise the native American emblem, but looking it up on Google, it has been made by the Indian Motorcycle Company. I worked out from the UK numberplate that it was registered in the early 1990s, although it looks like a vintage model. So perhaps it's a reproduction. We never saw the owner. So perhaps he was sitting in one of the nearby cafe's having his lunch. I just wonder how he was dressed. Black leathers perhaps? Spotted these two guys discussing religion. 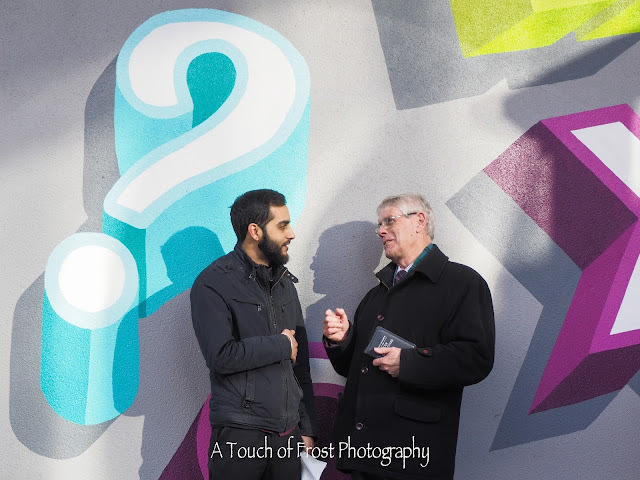 And how apt that they were standing next to a giant question mark. Well does God, or any religious deity for that matter actually exist? Today marks the second one day strike by Junior Doctors over the government's plans to change their working hours and conditions. Despite having a late lunch, I managed to make it to the Old Market Square to see these skilled, but overworked medicos. I signed a petition and was given a sticker saying that I support them. 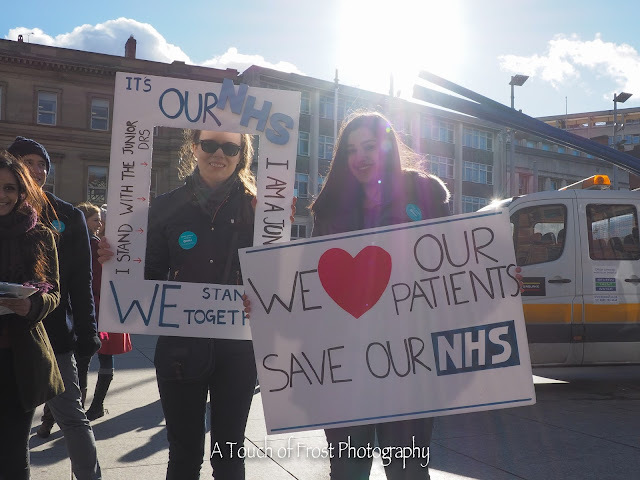 Then I asked these two medical staff if I take a photo of them while they were holding their placards, which they were happy to do. Further to my post from yesterday, I've heard that the couple who were knocked down by a bus outside the Victoria Centre, are elderly and that the man is sadly in a critical condition. You never know, the doctors who are striking today, were the same ones that treated the couple yesterday. 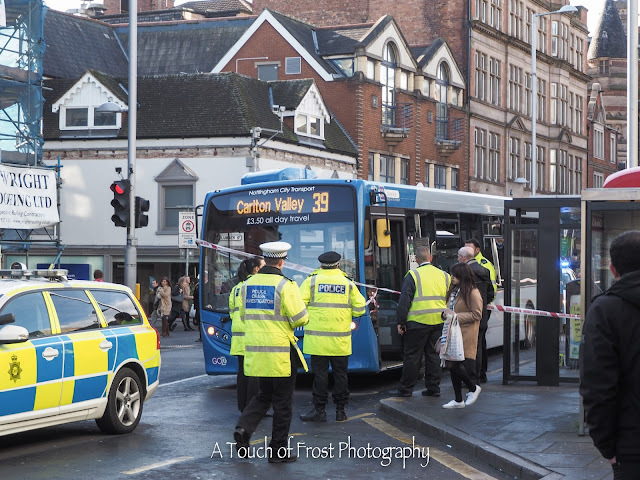 Sadly two people were hurt this morning when they were hit by a bus outside the Victoria Centre. Lower Parliament Street was closed from 11am until mid afternoon, as police had cordoned off the area while they investigated as to how the accident had happened. It is a very busy junction, although it is mainly buses and taxis that can use the roads around there now, as cars have been banned from the area, and are diverted away from this part of town. Sometimes though, people who want to cross the road, don't always wait for the 'green man' to appear, and make a run for it. News updates haven't reported how the to people are, but I don't think their injuries are life threatening. I'm sure everyone wishes them a speedy recovery. 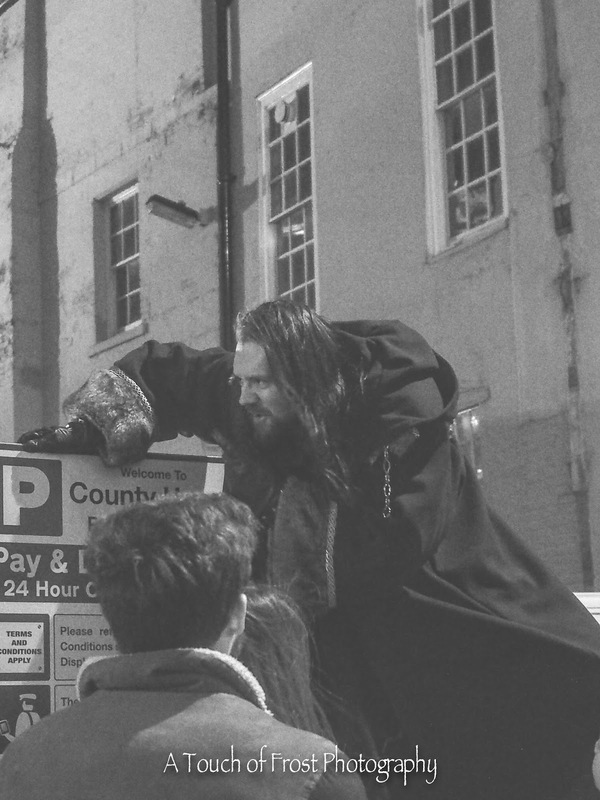 Amongst the few highlights of Friday's Light Night, was overhearing part of a tale from the evil Sheriff of Nottingham. 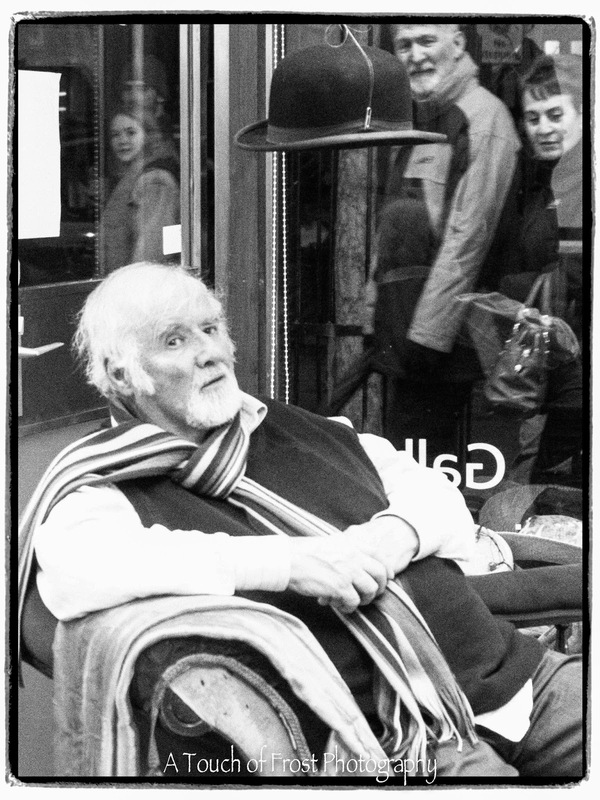 He was in the Lace Market entertaining a group of people of stories about things that had happened in the city centre a long time ago. Although I never made it to the castle to see the lights there, I took this photo from the top of the multi-storey car park, which isn't too far from the castle grounds. The coloured lights on the trees look quite effective, while the castle is just bathed in light from the inside, which was open, so you could look round and see the new exhibition that's on at the moment. And with that final shot, I jumped into my car and drove home to some fish & chips and review what I had just taken. 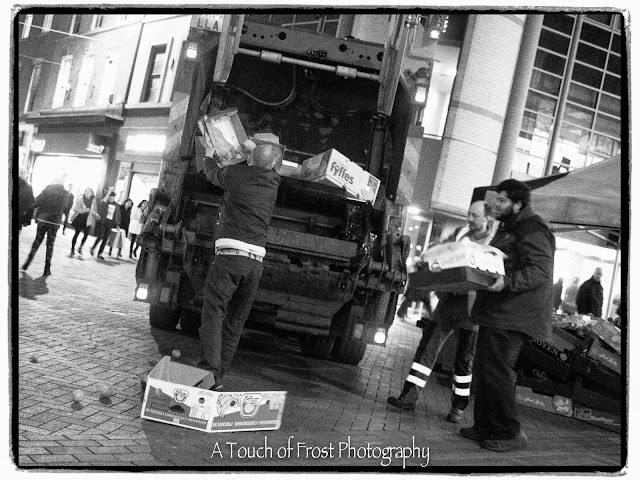 Whilst people were enjoying the delights of Light Night, some people weren't having such a nice time, like these bin men who were clearing away the rubbish from one of the fruit and veg stalls located in the city centre. "And prehistoric garbage trucks, have the city to themselves"
Well this one certainly didn't, as there were loads of people milling about looking for the next illuminated show. 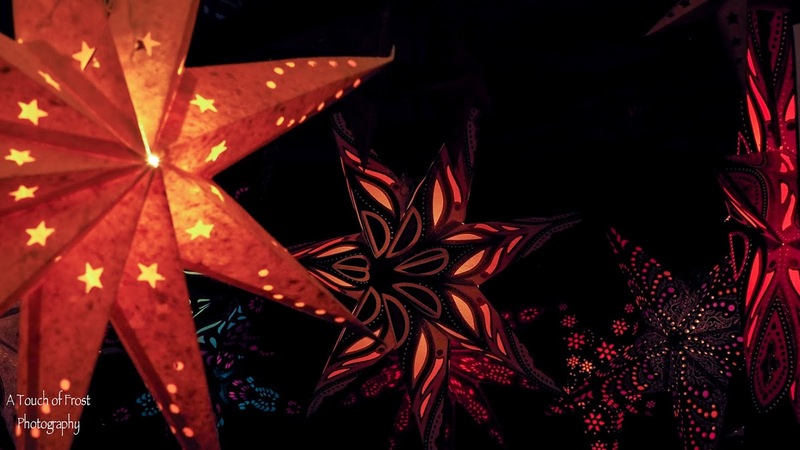 The annual Light Night festival took place tonight in Nottingham city centre. I was hopeful that it would be an improvement on last years. There was certainly a lot going on, and it was better than the last one, but for some reason, I didn't find a lot of it exciting. 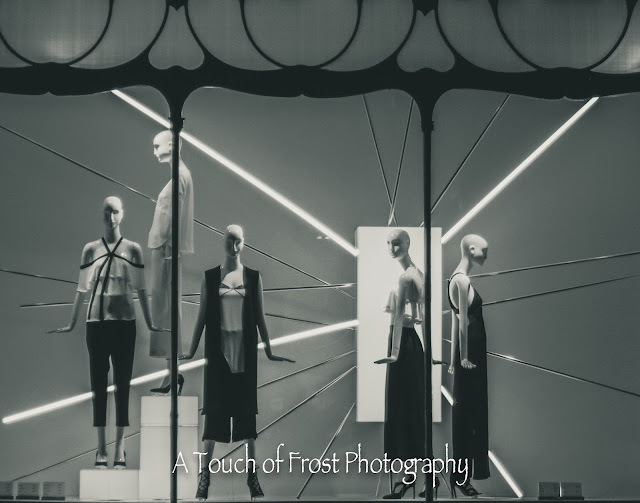 And also for some unexplained reason, a lot of my shots are in black & white. I have no idea why. Maybe its something to do with the mood I was in. I began my exploration in the Old Market Square, then walked up to the castle. Being free entry, there was a ginormous queue of people waiting to go in. I thought I couldn't be bothered waiting. so had a stroll down to the Brewhouse Yard area. On the way back I popped into a gallery for local artists to display their work. I noticed that there were about four artists sketching or painting an oldish man that was posing on a sofa. To add a bit of surrealism, a bowler hat had been suspended near his head. Not being able to draw or paint, I took his portrait instead. 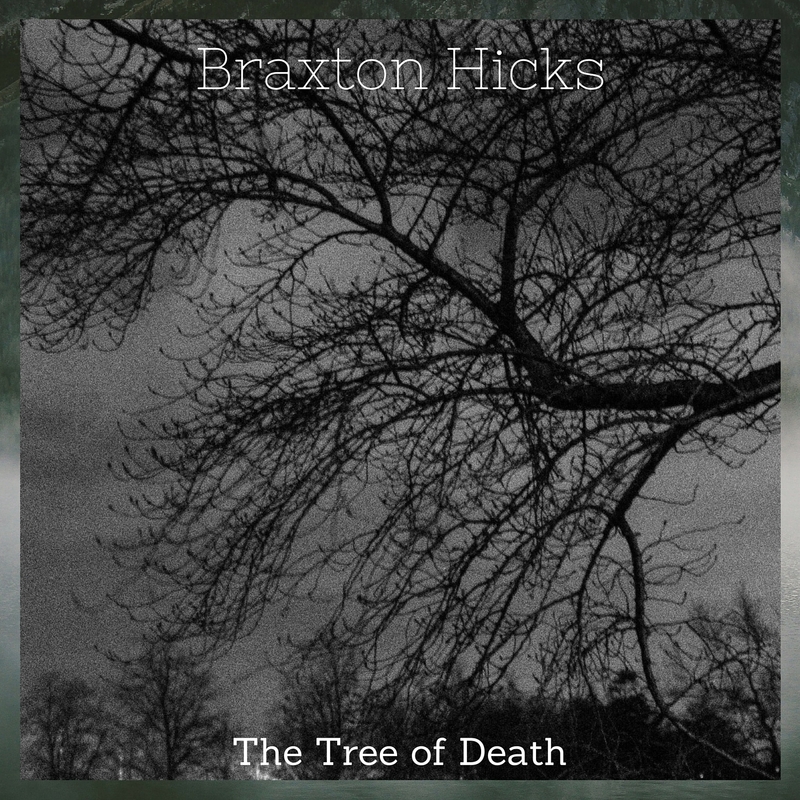 Here's another one of my album designs for Chilwell based folk singer Braxton Hicks. Braxton is quite a moody singer and guitarist, and his self penned songs seem to be in the style of Leonard Cohen. His songs are often about loneliness, unrequited love and of course death. But of course he isn't as gloomy in real life as he often portrays in his songs. He loves to laugh at Carry On films, and the old silent comedies of the 20s. Buster Keyton and such like. He also enjoys drinking real ale and playing Monopoly. His favourite playing piece is the top hat. 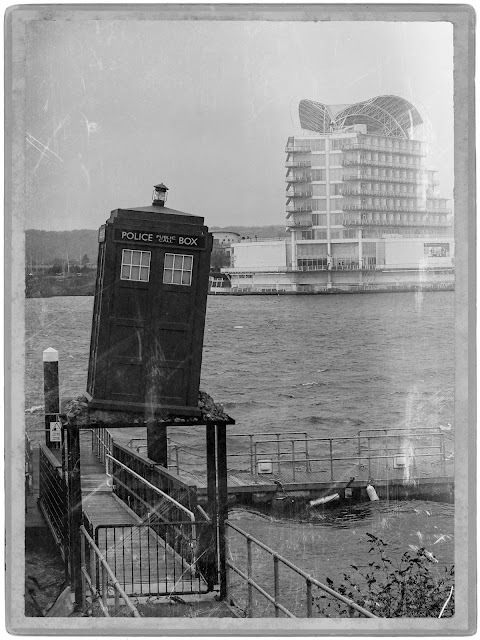 The thing about time travel, is that sometimes you never know whether you are in the past, the present or the future. Take this postcard sent from the Doctor. The photo looks modern day, but because it is scratched and faded, shows that it is quite old. So did our favourite Time Lord go forward in time and buy this 'antique', rather pay only a few pence and purchase one in mint condition? I bet you can tell which is my favourite doctor by this enormous scarf. Curly hair, tombstone teeth and a love of jelly babies. Yes, that's right Tom Baker. He played the time traveller between 1974 and 1981, and made some of the best stories ever, including Pyramids of Mars, The Brain of Morbius and The Talons of Weng Chiang. 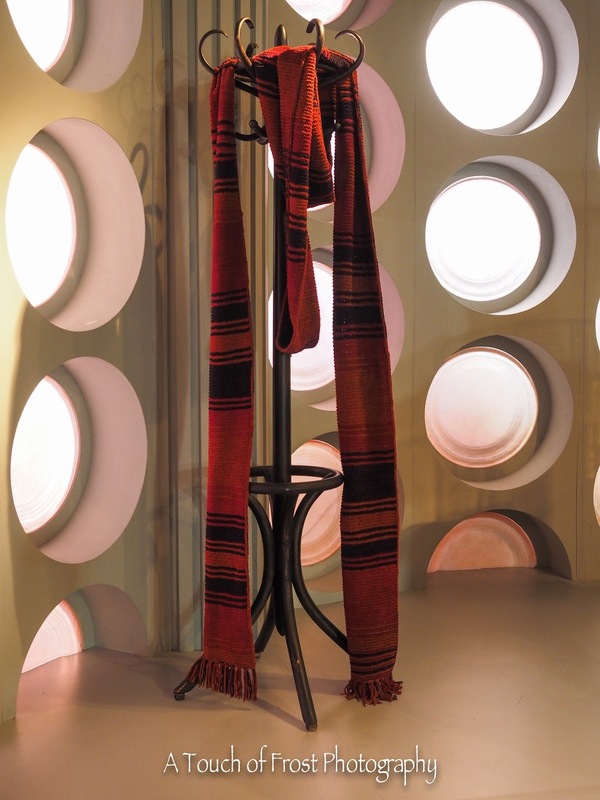 Sadly Tom hung up his trademark scarf and the Doctor turned into Peter Davison. Tom made an appearance last year in the revamped series, playing possibly the Doctor, but wasn't clearly explained as to whether it was or wasn't. 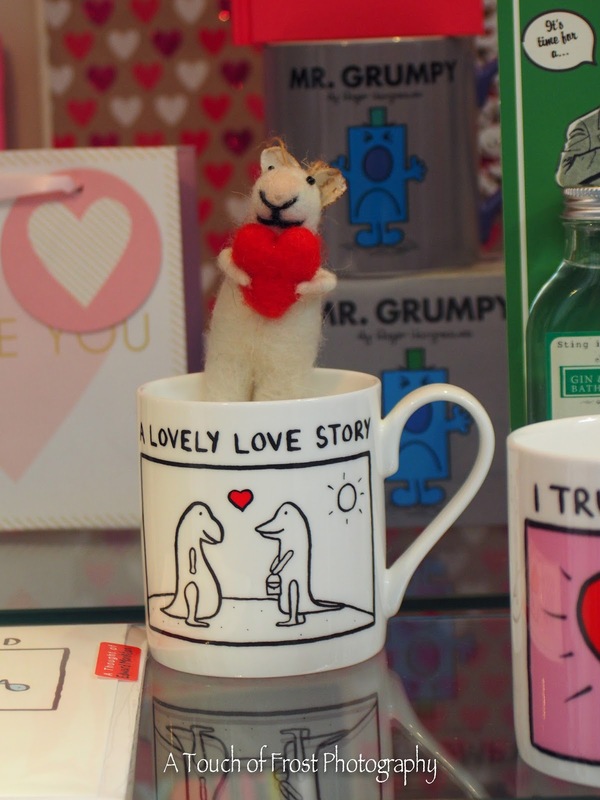 Now that Christmas has been packed away for another year, the thought of Valentine's Day has meant that shopkeepers have filled their stores with romantic goodies. And for some reason Easter Eggs are on the shelves too. Even though Easter isn't till the end of next month. This window had quite a few heart inspired presents in the window for your romantic crush, or loving partner. I'm not sure about the Mr Grumpy mug in the background though. Although Gail might think that it's the perfect gift for me!